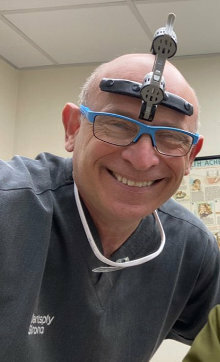 Dr Barry Beilinsohn qualified as a dentist in 1988 at the dental school of the University of Stellenbosch. After completing military service, he joined his father, Dr Maurice Beilinsohn, in private practice. He worked there for 10 years before opening another practice. 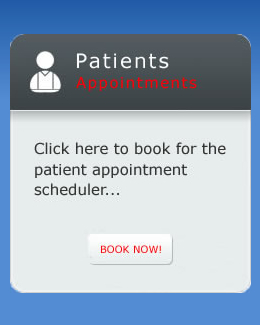 Currently we have 3 practices servicing all aspects of dentistry. He has been in partnership with his father for some 20 years. We have surgeries in Sea-Point, Plumstead and Goodwood. Our Goodwood surgery has been established for over 50 years - two family generations of dentists. Our flagship dental practice is based in Sea Point just 10 minutes from the V&A Waterfront and Greenpoint. His special interests include preventative, restorative and reconstructive dentistry. His other special interests include aesthetic dental makeovers which encapsulate all aspects of cosmetic dentistry: teeth whitening, porcelain crowns and bridges, veneers, inlays, natural tooth coloured metal-free fillings, dental implants, a range of removable and implant-supported denture options. Advanced periodontal, maxillo-facial and implant cases are treated in conjunction with leading Cape Town periodontists and maxillo-facial surgeons. Dr Barry Beilinsohn has been a member of the South African Dental Association for the last 30 years. He served as President of the South African Dental Association Western Cape for 2010 and 2011. He is currently serving as a National Councilor on the South Africa Dental Association National Council. He regularly attends dental congresses and lectures and reads dental journals to stay abreast of the latest products, techniques and advancements in dentistry. Dr Beilinsohn is married to Debi, they are blessed with a daughter Kiara and a son Zaccary. Hobbies include model building and watching movies. "My real passion lies in comic and superhero collecting. I have been collecting comics for around 40 years. My uncle started me off as he was one of South Africa's largest collectors. I vividly remember going with my dad weekly to the local corner cafe and buying a few comics at a time. And that's how my collection grew." 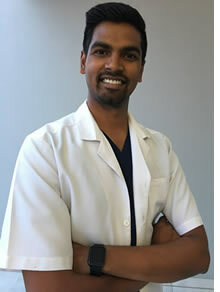 Dr Nigel Govindasami, completed his studies in Dentistry in 2012 at the University of the Western Cape. Originally from Durban, Dr Nigel opened his practice in the north coast of Durban, KZN where ran a successful practice for 4 years. In 2018 his wife and him decided to make a move to the Western Cape as it has always been there goal to work and live in the beautiful city of Cape Town. Dr Nigel enjoys all aspects of dentistry but over the years his focus has become more on preventative and minimally invasive dentistry. Two of his key-focuses in the practice are endodontic therapy (Root canal treatments) and aesthetic smile correction. He regularly attends many advanced courses in these fields allowing him to offer the very best treatments to our patients. His Qualifications, other than Bachelor of Dentistry (UWC) and Postgraduate Diploma in Aesthetic Dentistry (UWC), include Inman Aligner certification, Digital Smile Design & Minimally Invasive Dentistry, Functional Smile Analysis, as well as Comprehensive Endodontic. He is also a member of the South African Dental Association and Healths Professional Council of South Africa. Dr Nigel has a keen interest in sport and enjoys cricket, football and golf. He loves to travel as well as explore the beautiful sites that the Western Cape has to offer, with his wife Anisiah.